The opposition Movement for Democratic Change has announced that its Treasurer General Charlton Hwende has been arrested upon landing at the Robert Mugabe International airport. "Deputy Treasurer General and MP for Kuwadzana East constituency, Hon. 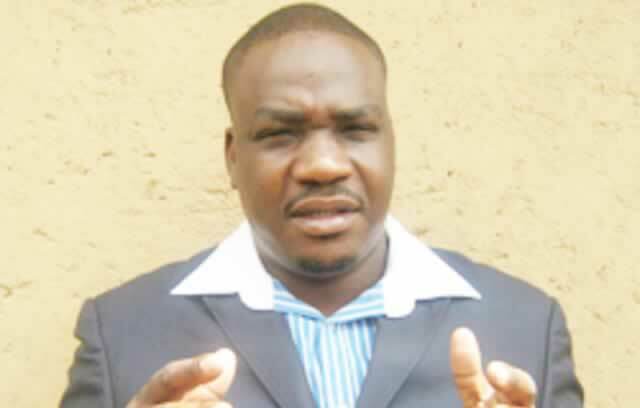 Charlton Hwende has been arrested at Robert Mugabe International Airport on his way back from Namibia." MDC said. Hwende's arrest comes barely 3 days after the arrest of Harare West MP Joana Mamombe who is accused of treason. Reports in Namibia allege that Hwende approached the Inspector-General of the Namibian Police Sebastian Ndeitunga seeking asylum. Hwende is on the police wanted list in connection with the #ShutDownZimbabwe protests. In a report in the New Era newspaper, Hwende's lawyer Norman Tjombe wrote to the Namibian police chief requesting protection "against unlawful abduction and the possible rendition to Zimbabwe at the hands of Central Intelligence Organisation". Tjombe claimed his client was in the country to visit relatives although there are fears he might be arrested if he returns to Zimbabwe. Bulawayo24 is in possesion of a letter written to the Namibian Police's Inspector General on Tuesday by his lawyer Norman Tjombe. Commenting on the arrest Human Rights lawyer Dr Pedzisayi Ruhanya said, "Now, the arrest of Charlton Hwende is clearly an MDC congress matter. A clear pattern is now emerging. Chamisa and Biti loyalists must rot in jail. The party/state/military complex at work."